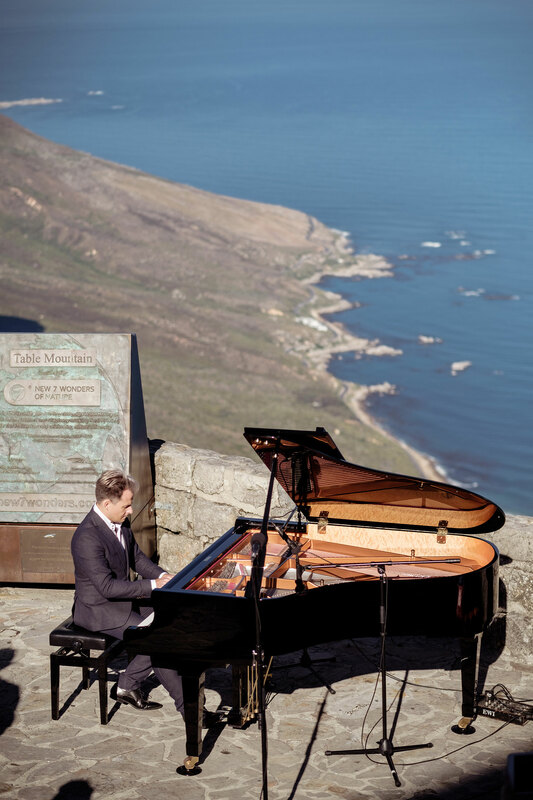 When I first started this blog I was seated on a jet from Cape Town to George having just become the first person in the history of the world to perform on a grand piano on Table Mountain, on International Piano Day. What an extraordinary moment it was! I was most worried about the weather and thankfully it was the most perfect day in Cape Town. The reason for the jet was the second concert of the day which was in Knysna with my trio. It was booked first and when the Table Mountain experience came about (quite last minute – like some wonderful things) I was very happy to fit two event on one day. It has now been 2 weeks since that sunny day on the mountain and most people have asked the same two questions: 1) How did you manage to get a grand piano up there? and 2) What was it like playing up there. As for the piano – the expert team of Ian Burgess-Simpson Pianos (who had the idea of putting a piano there in the first place) moved the piano by means of the Cable Car up the mountain, two days prior to the event. This was a routine procedure where the piano was put on it’s side and the legs taken off before it was transported up the mountain so it could acclimatise . The most difficult part was from the cable car station to the spot where the event took place, as the terrain is rocky and uneven, which meant the 350kg piano had to carried by hand. I was not quite sure what to expect from the day as I had not been up Table Mountain in more than 10 years. The view was breathtaking as always and performing on a piano up there was combination of the two most contrasting visual experiences of my life. Looking down I saw the familiar black and whit picture my eyes and muscular memory knows so well, but looking up I was transported to a most magnificent picture. Pianists are used to dark recital halls or bright spotlights that make you see barely anything in a hall or auditorium, so the pleasure of looking up and seeing one of the most beautiful views of mountains, ocean and stunned onlookers on top of one of the new 7 wonders of nature was priceless. 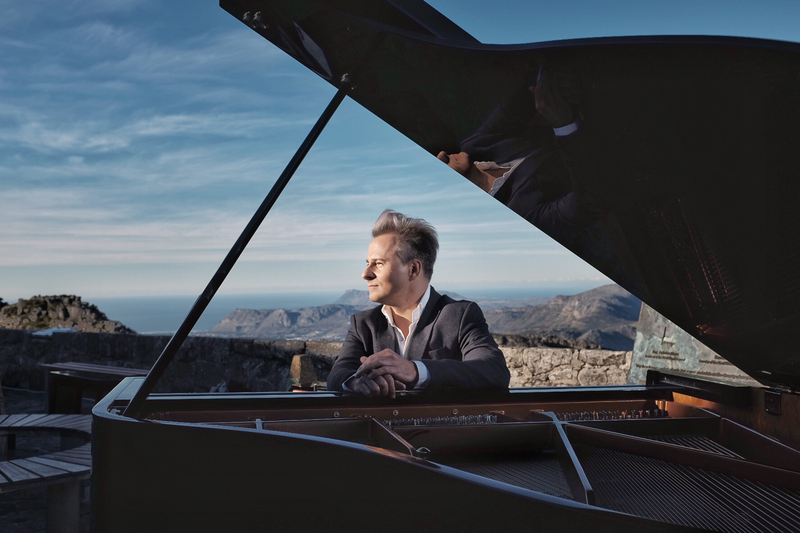 Having the opportunity to share this moment with some of the best pianists in SA was double the fun and I am thankful that this day is saved on sticks, cameras and film from all over the world, to remind me I was not dreaming.